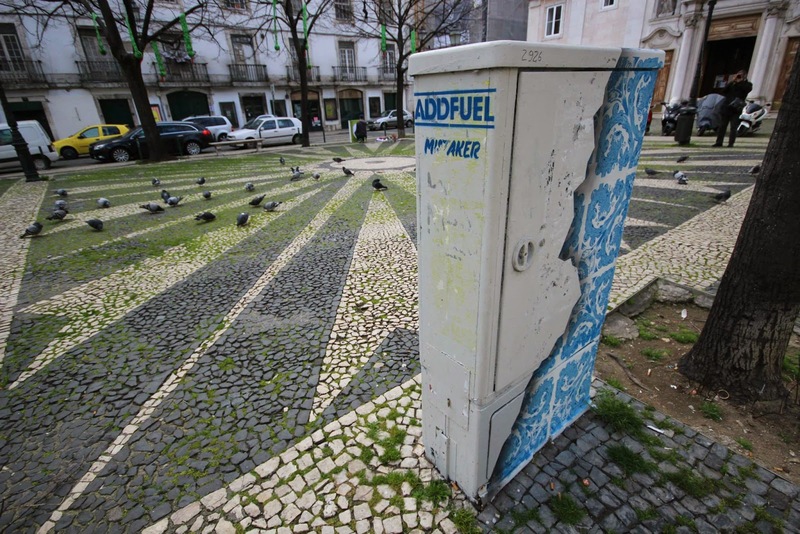 Portuguese artist Add Fuel recently took part in the Trampolins Gerador project organized by Mistaker Maker @ Largo de São Paulo in Lisbon. 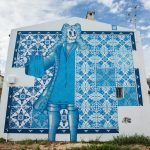 The idea of the project was to revitalize the area through music, performance, food, photography, intervention, urban art, workshops, talks, etc. 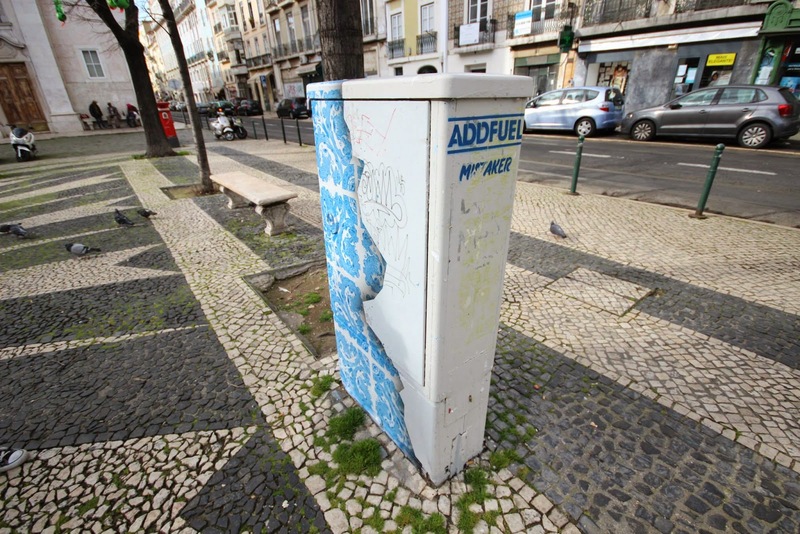 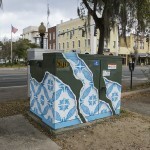 Along with few other artist, Add Fuel created this effective piece on an existing electricity box. 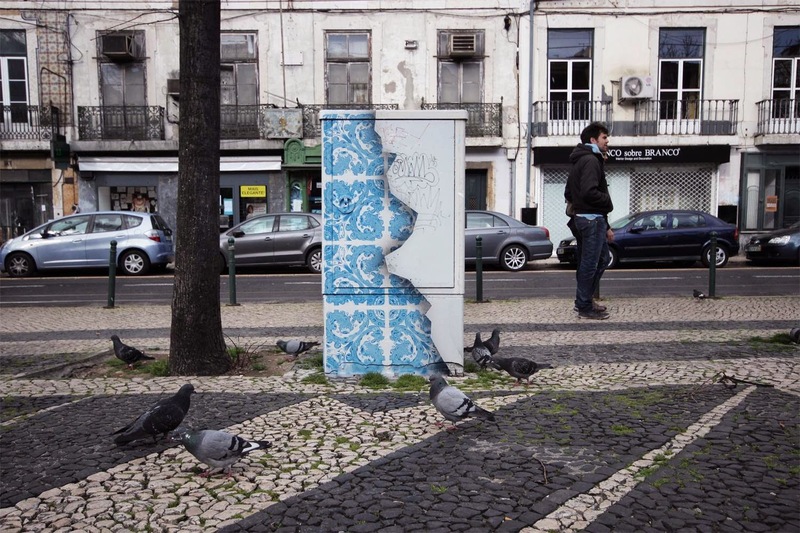 Using stencils and spray paint, he painted a commentary on what is hiding under the surface of the city as we see it. 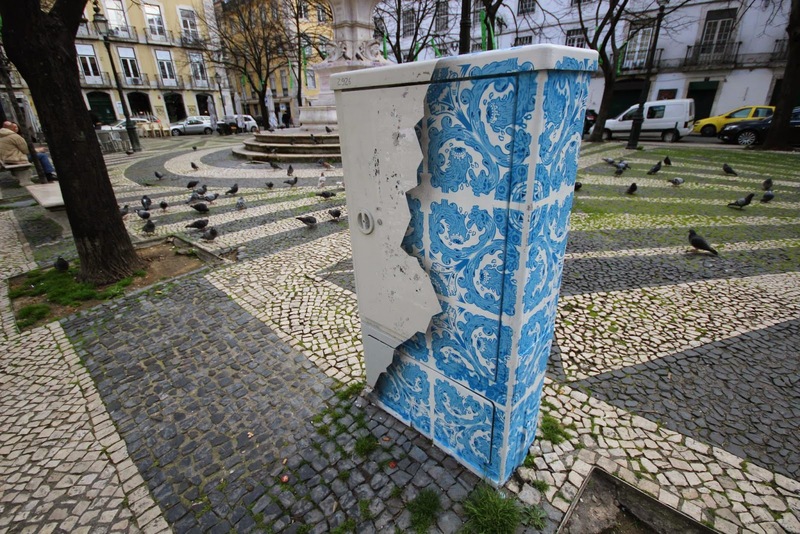 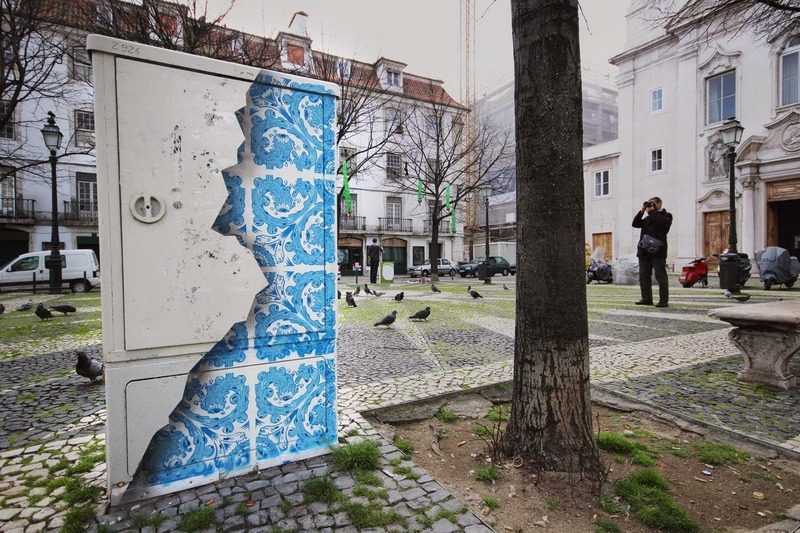 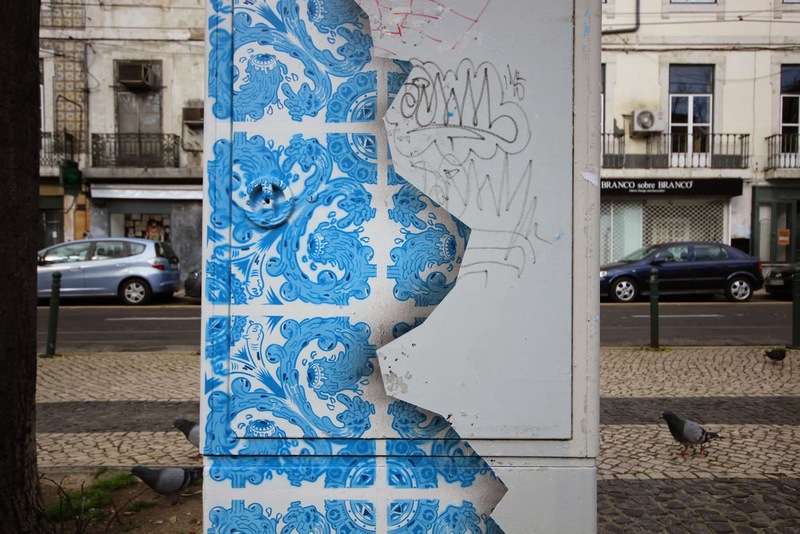 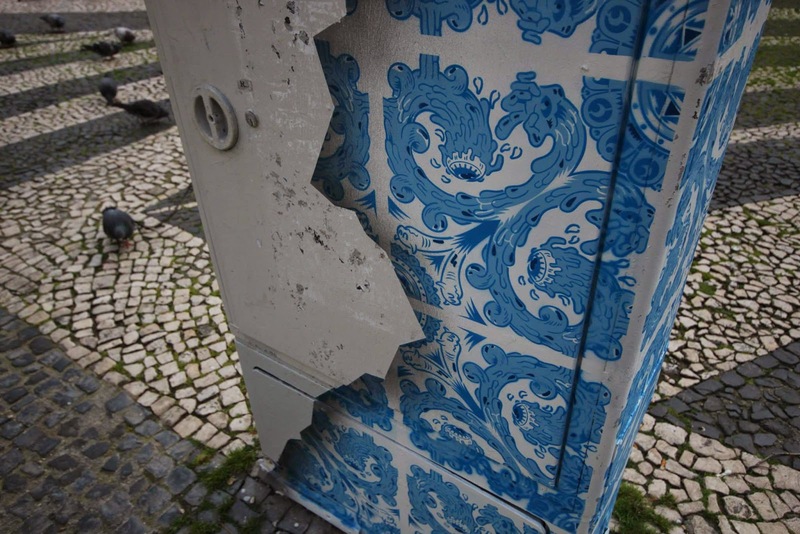 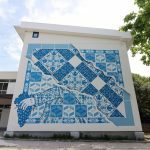 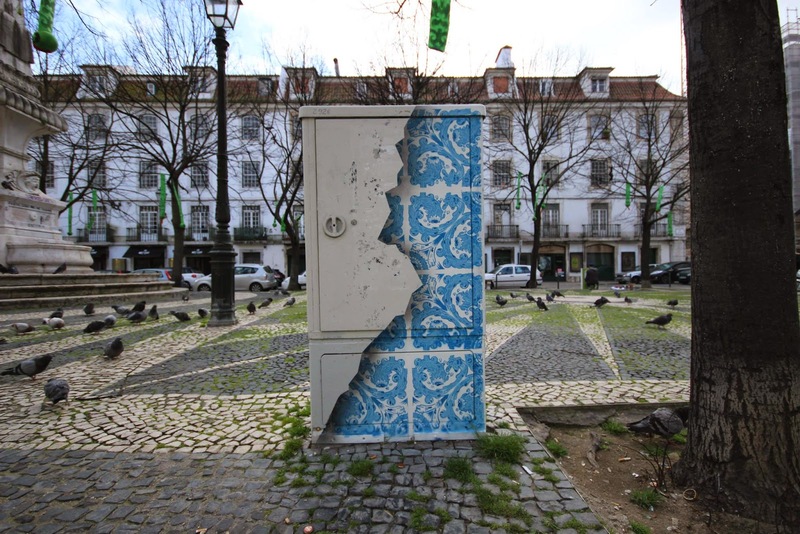 Known for painting works based on azulejos (Portuguese tiles), this piece is suggesting the importance of preserving tradition during fast, modern times. 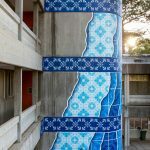 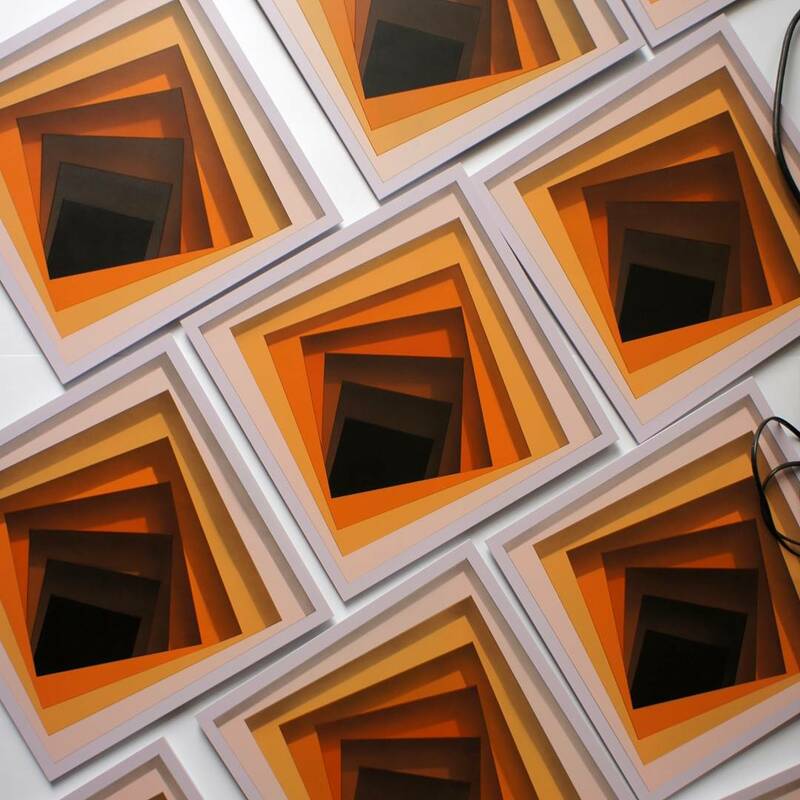 Check out more photos after the jump and come back soon for more incredible street interventions and effective urban art.